Discussion in 'Server Announcements' started by KingGoldensPanda, Aug 4, 2018. Yes. 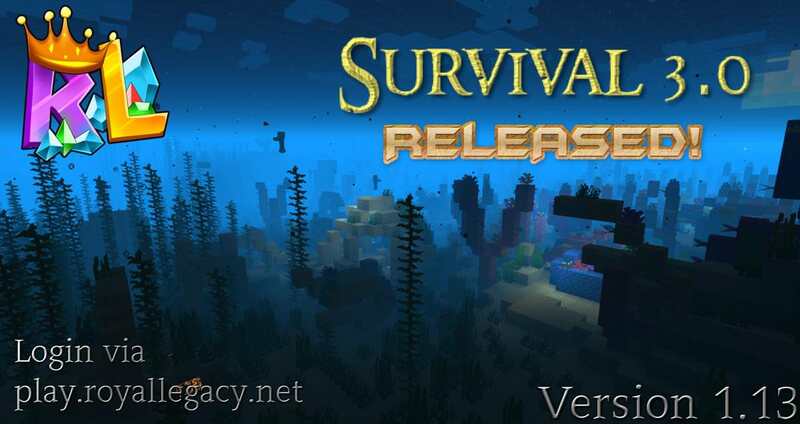 If you haven't heard, Survival has reset and released as Survival 3.0 running Minecraft 1.13. You may still login through versions 1.8.8-1.12.2 also, however I highly suggest using 1.13 for a better experience playing!! Before I get started, here are the July Top Voters! Message me on Discord to tell me where you would like your Reward & include your username! All ranks have been restored, and any other purchases within the last two weeks on Survival 2.0. We have released a new spawn along side of the reset, in celebration of the Aquatic Update. We have designed it based off of the beautiful new blocks added! Minecraft 1.13 brings many new underwater blocks, such as coral, kelp, sea grass; and many new mobs including Drowned Zombies, Dolphins, and Turtles! Please note, due to 1.13, there are many bugs that have been introduced. We have worked hard to keep that to a minimum, however the following are currently disabled and being fixed: Voting, mcMMO, fast crafting, trading, trails, chest shops, [item], and disguises. These should be all fixed within about a week!! We will be introducing constant updates throughout the next week, fixing bugs and releasing brand new content! We hope you enjoy the nice Survival refresh, a lot of work has been put into it! Updated ALL Bending Rank descriptions, adding disguises, heads, and more to the list! Increased Skyblock's 3 Epic Key package to 5 Epic Keys for the same price! Explosive Mining & Explosive Digging are now working again! 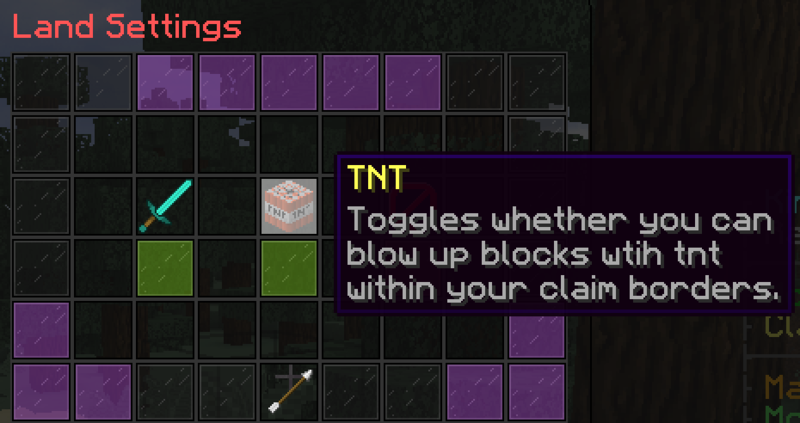 New TNT enable/disable option in /claim settings!!! Many more updates soon to come over the next week!! Will post another announcement soon with more information about even more changes! Post some screenshots of what you have made in Survival 3.0 & what you'd like to see next in the comments below!!! Thank you King for your hard work in improving RLN. Love the new changes to survival and I love the cheaper repair costs in Prison even more. Thank you so much King! ok, nevermind, just see that villagers cant breed now... just when i finally get my first 3 villagers.